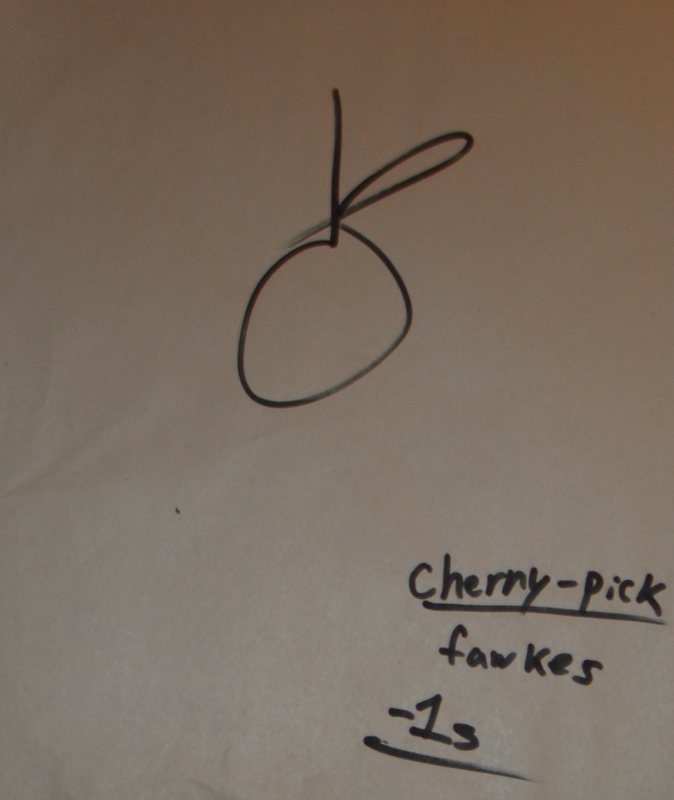 I apparently have a knack for coming up with nerdy party games. 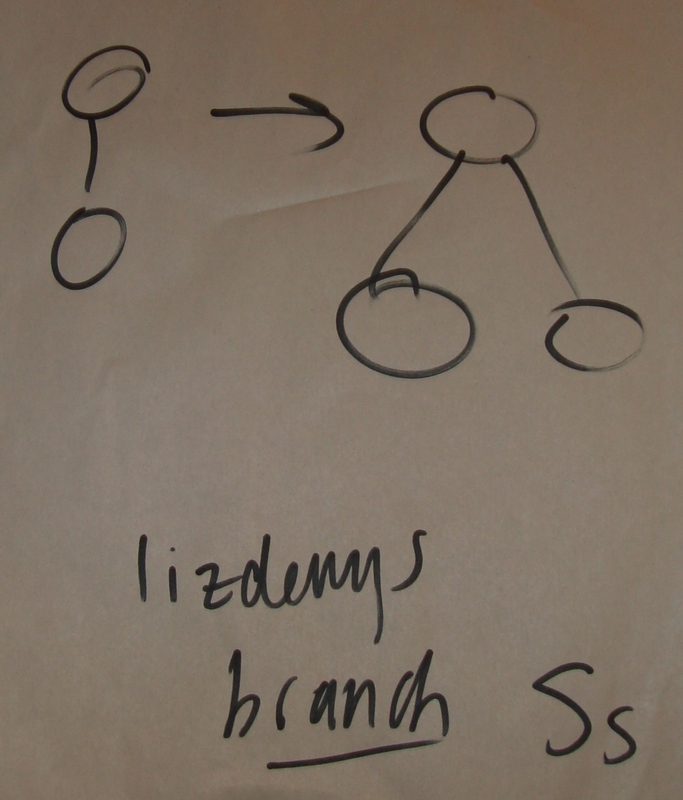 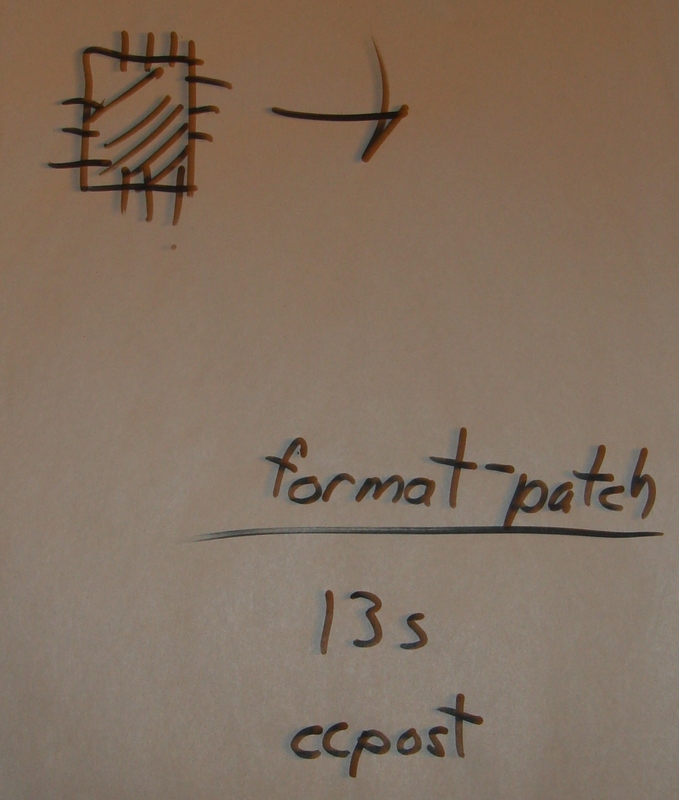 Three Fridays ago, my 6.033 TA encouraged us to practice creating diagrams for our design project proposals by trying to identify UNIX commands or filesystem structures from our partner's drawings. 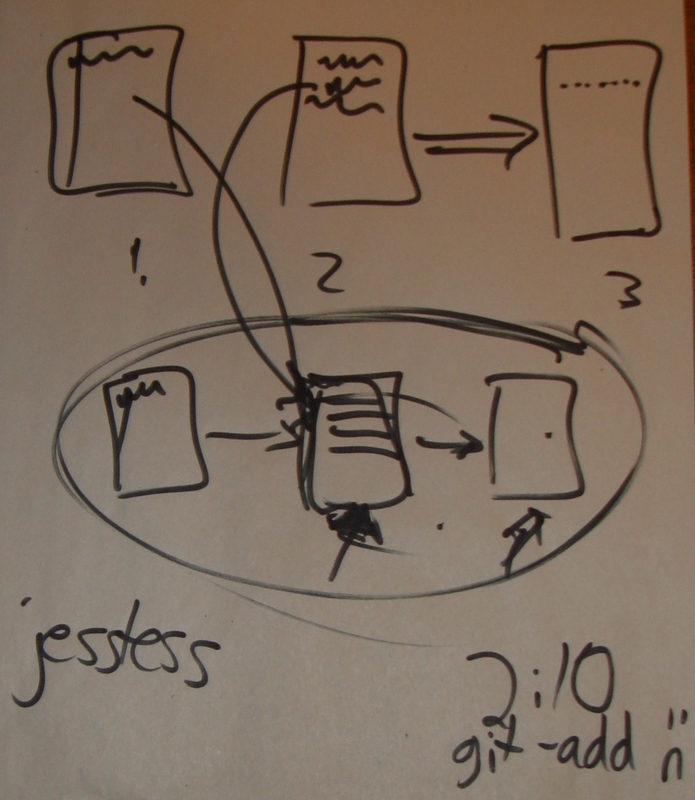 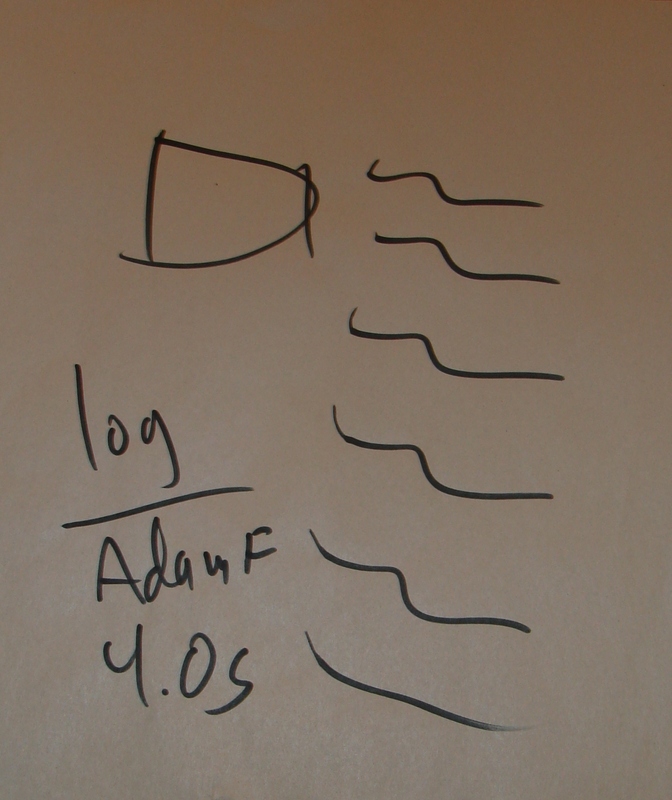 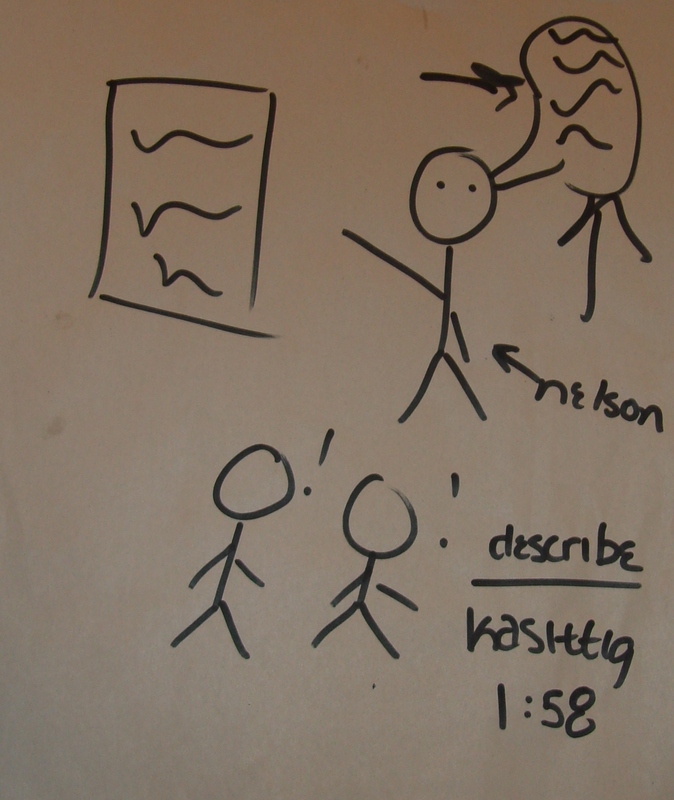 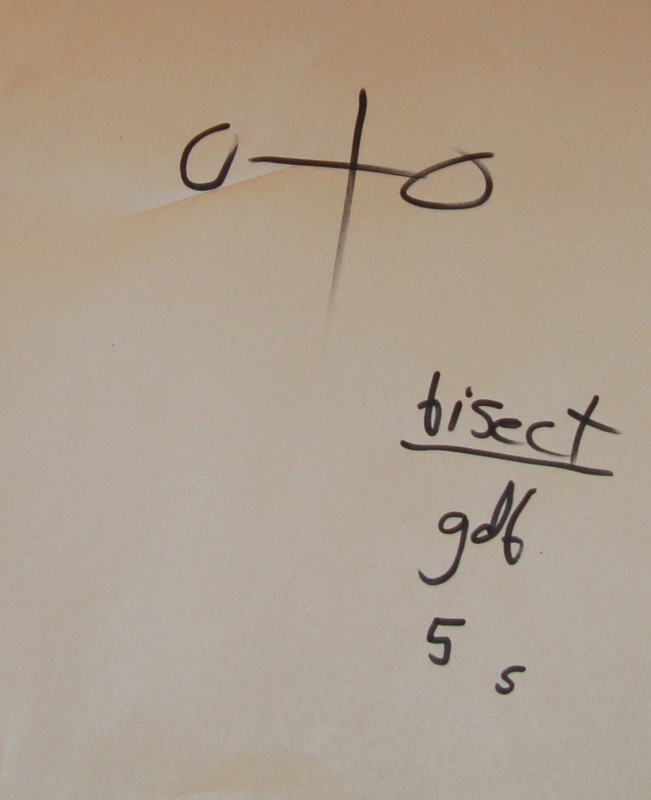 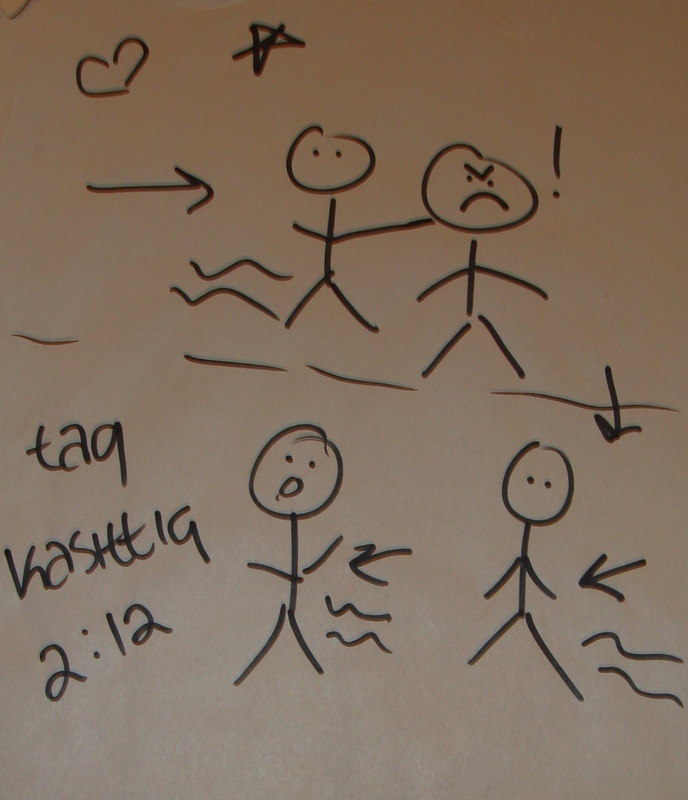 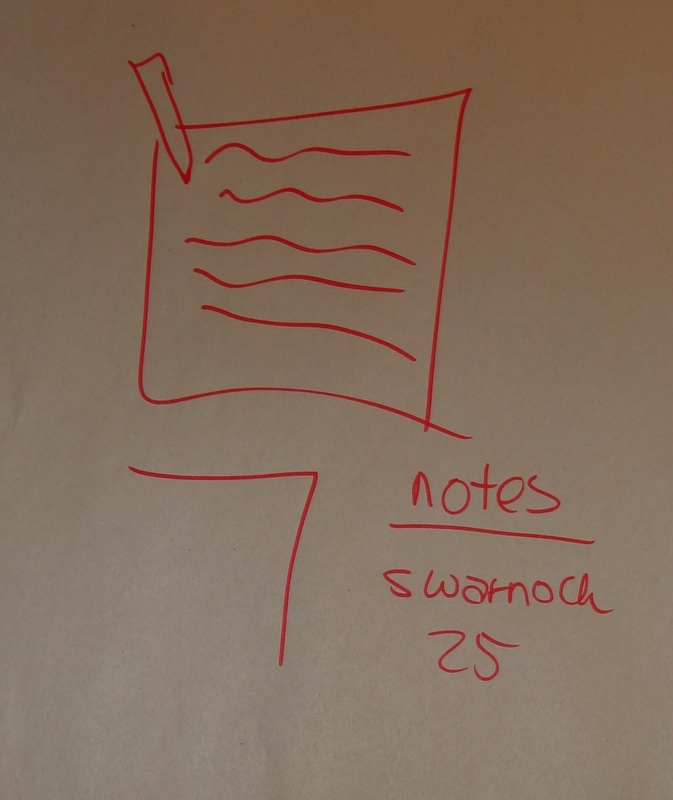 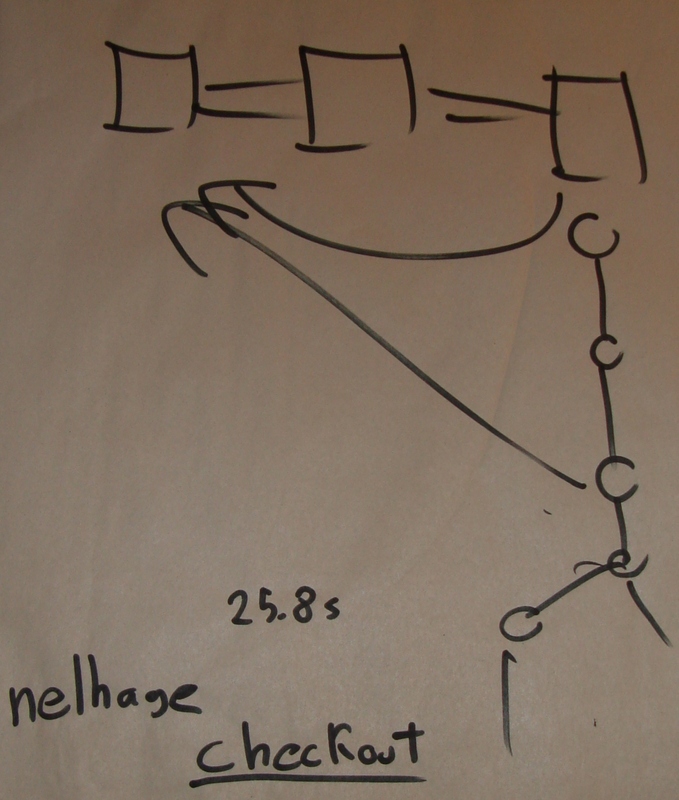 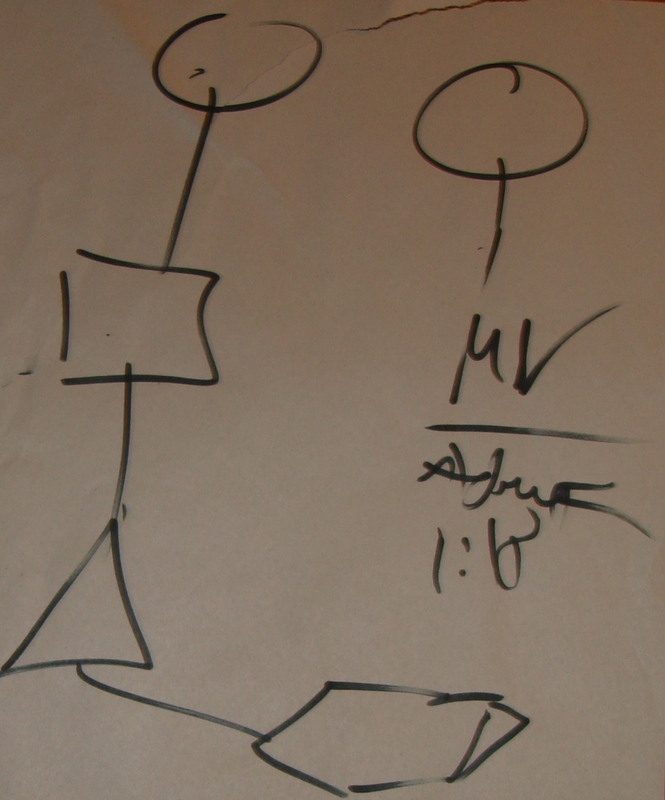 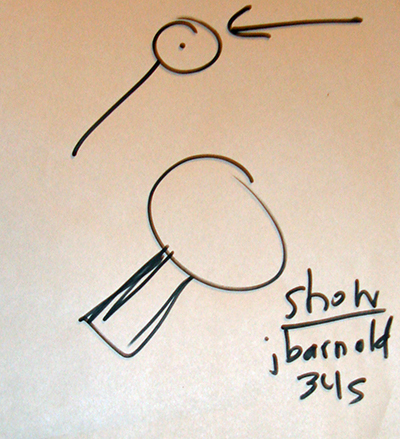 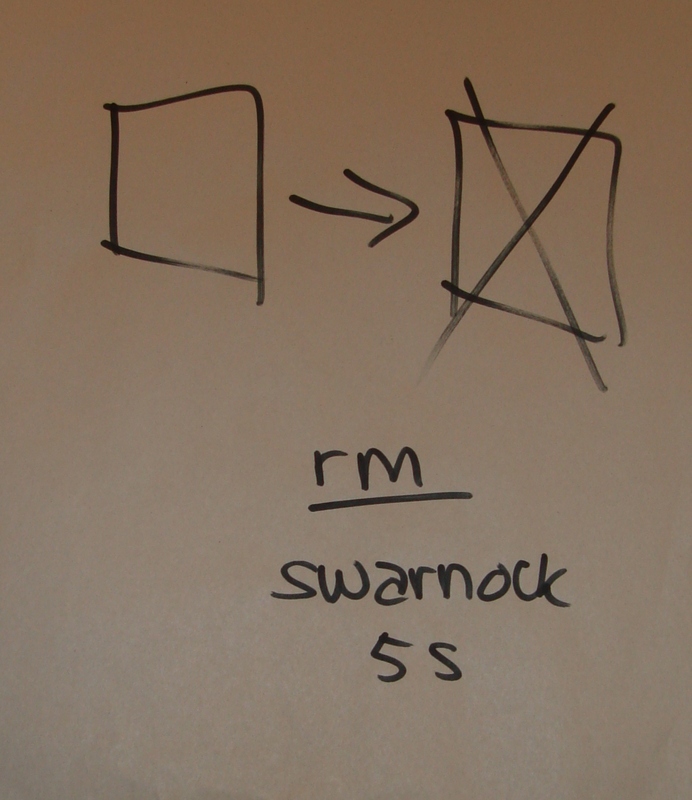 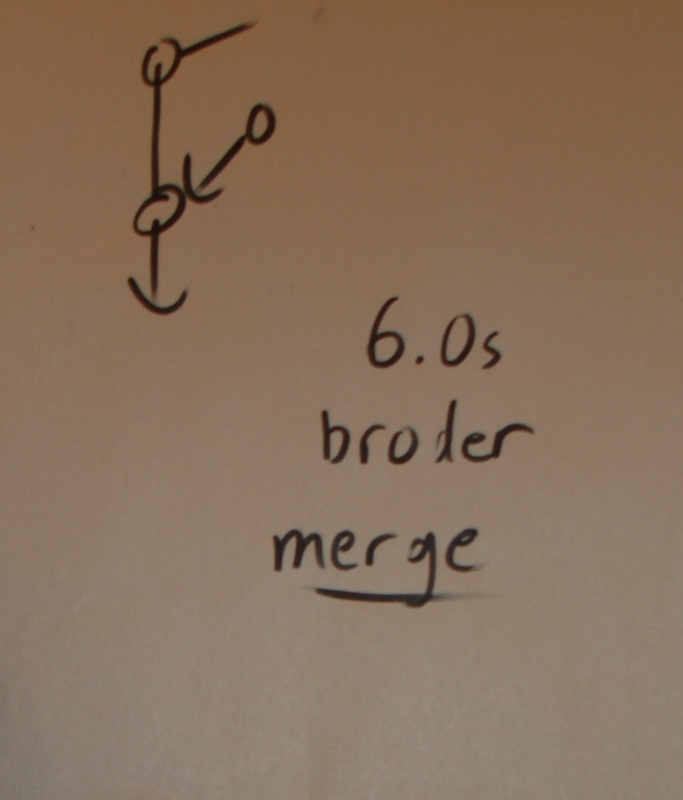 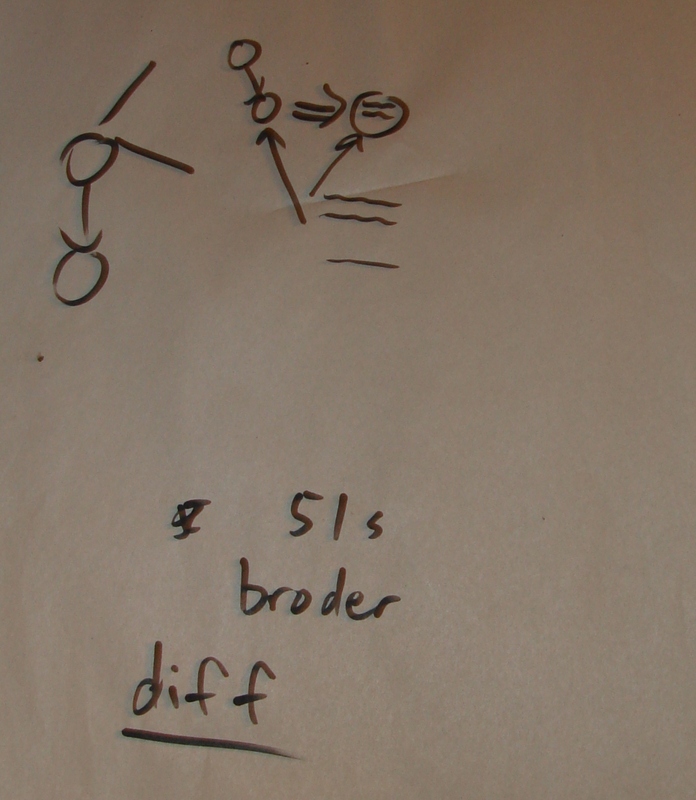 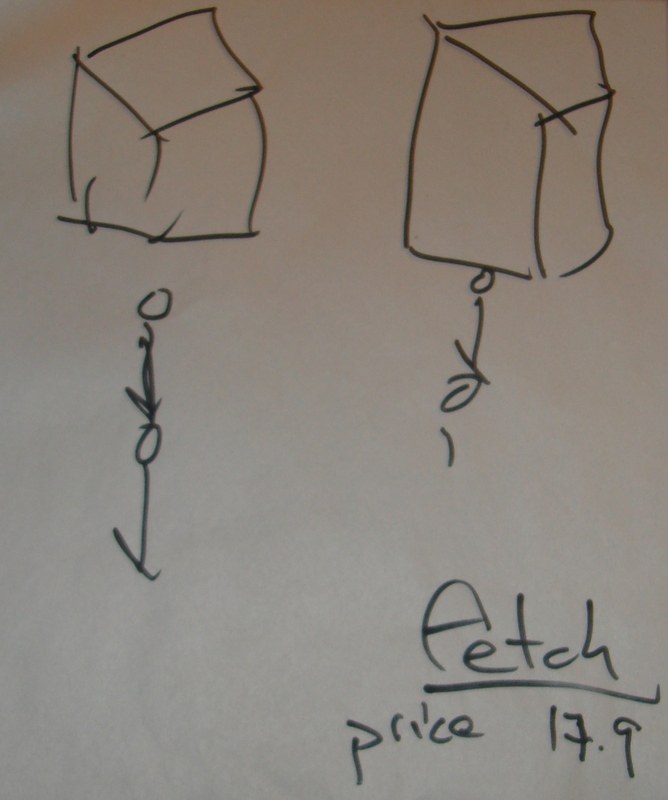 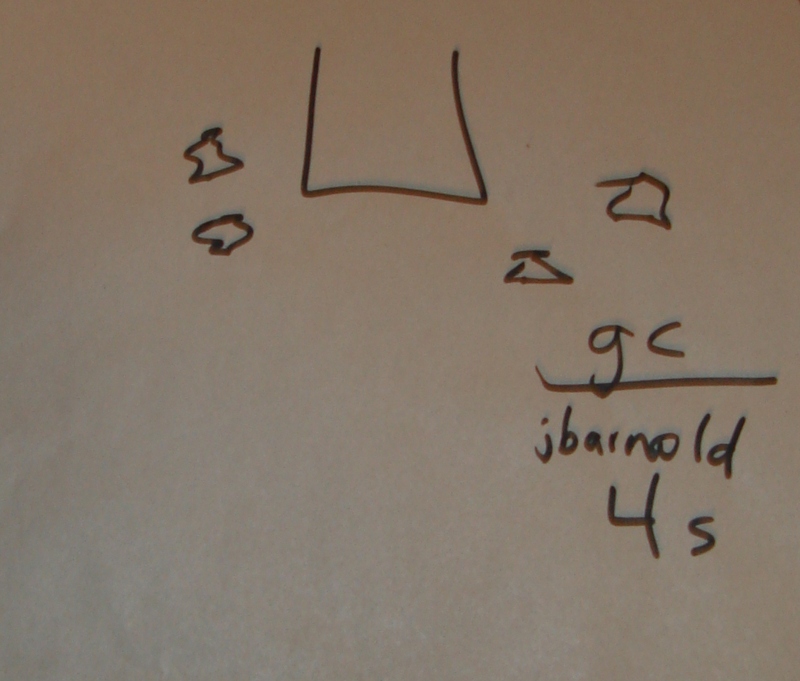 He claims that this "6.033 pictionary" was a result of strong nudging of the course's writing staff. 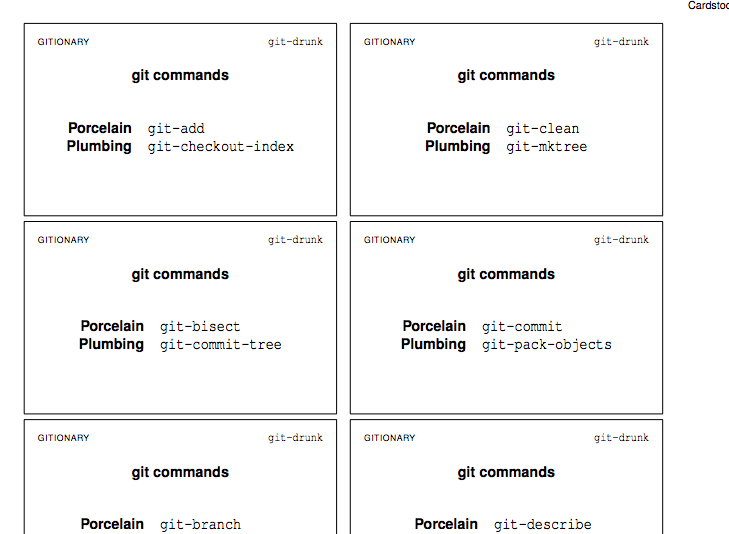 Given that I had been encouraged by some of my friends to learn git earlier that day, naturally, I merged the two ideas and decided that gitionary needed to be created. 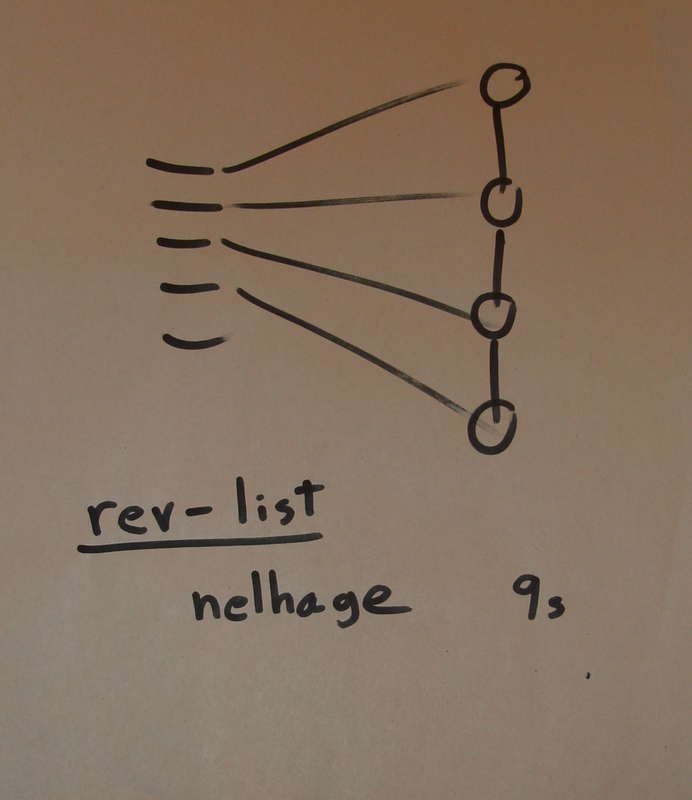 I told Nelson, who is quite fluent in the ways of git, and he generated the game cards so we could actually play with the idea. 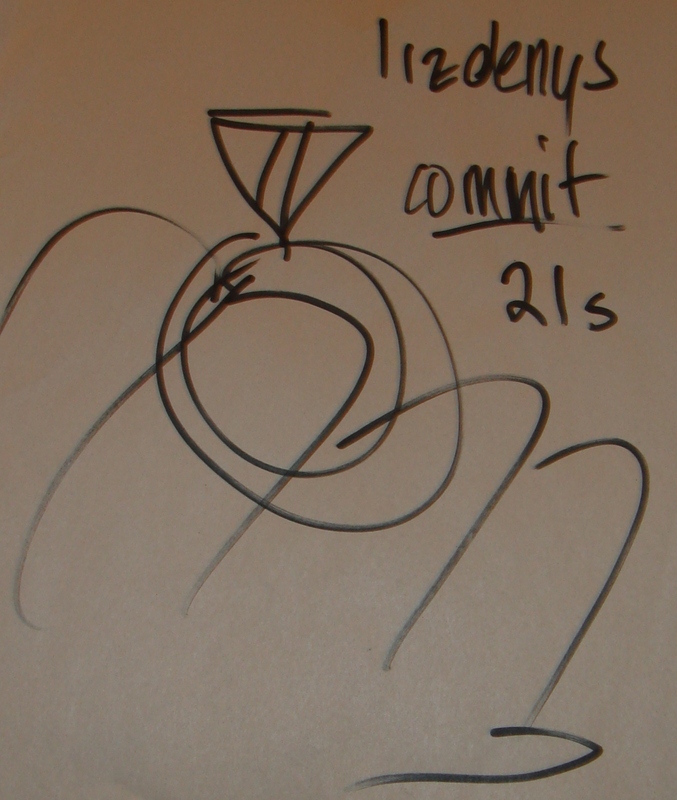 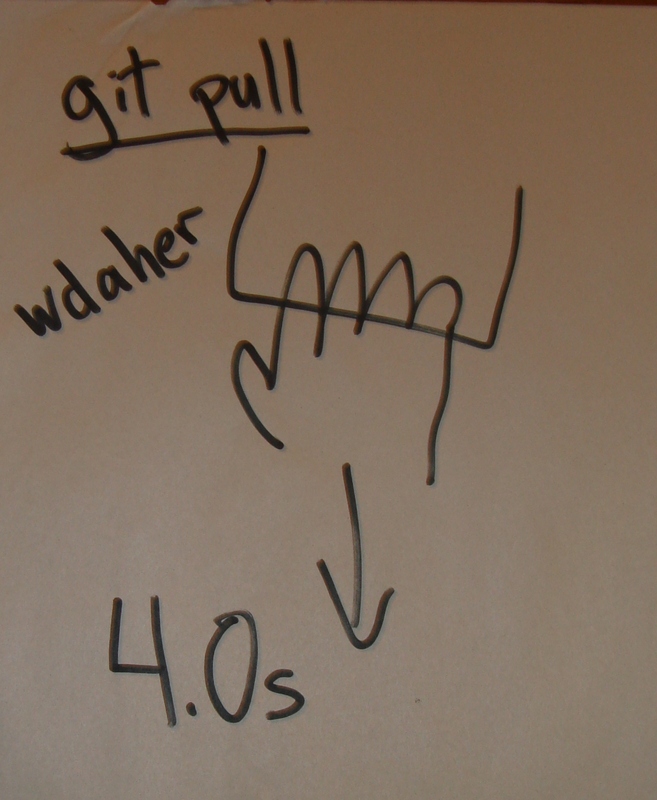 The original premise was simple: draw the appropriate directed acyclic graph corresponding to git commands so that your friends could guess it. 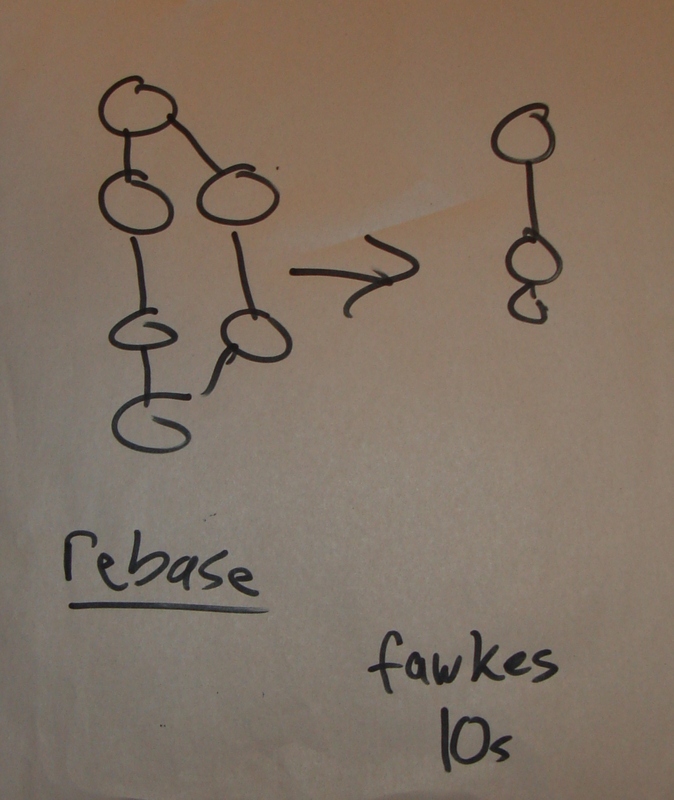 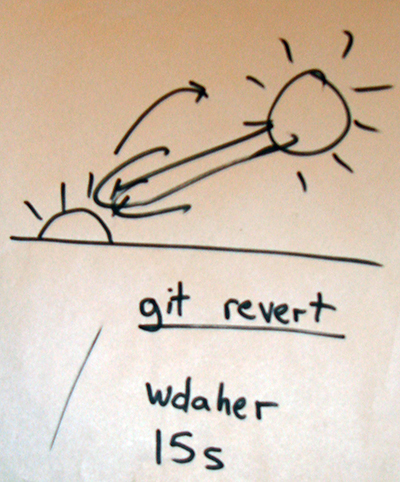 However, many people who would likely end up playing the game did not yet know git, myself included, so we thought it would be good to allow drawing non-DAGs, too. 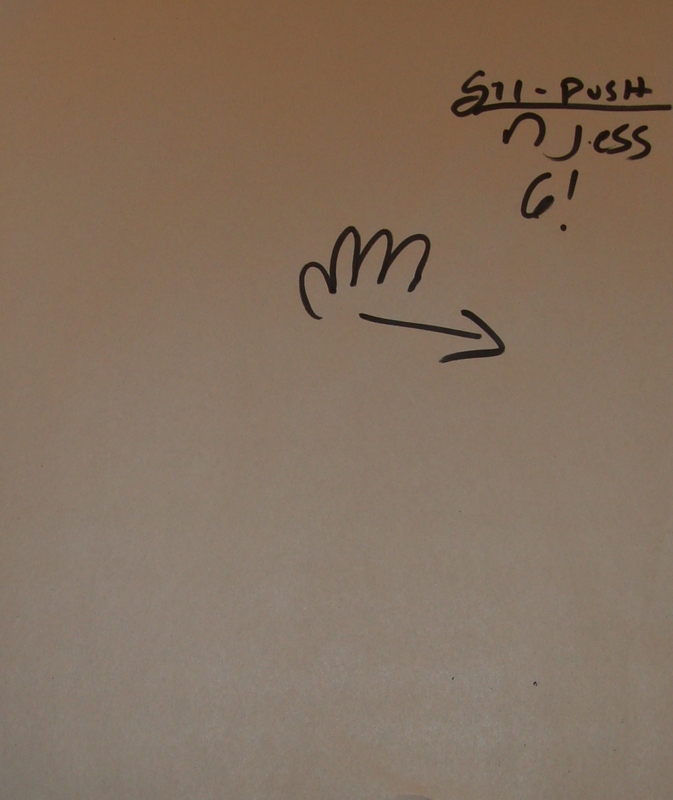 I definitely encourage you to get a group of your favorite nerdy friends together to play the game, and maybe, you will do more than one of the plumbing commands. 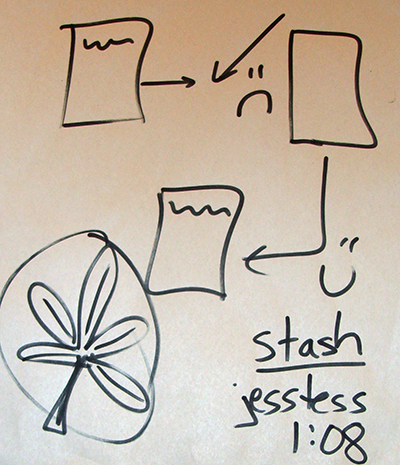 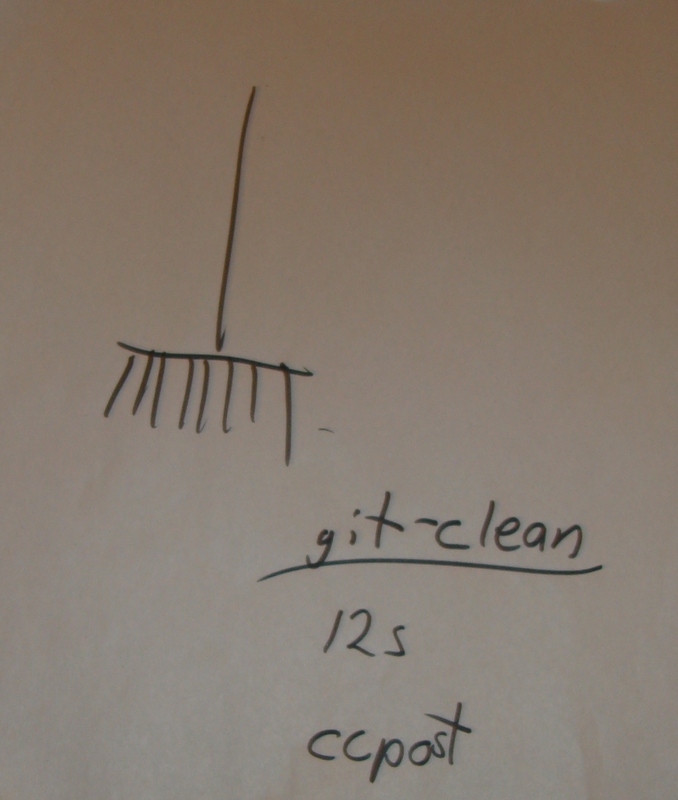 Now that I've created a party game about gitionary, I think I should probably go spend some time learning git. 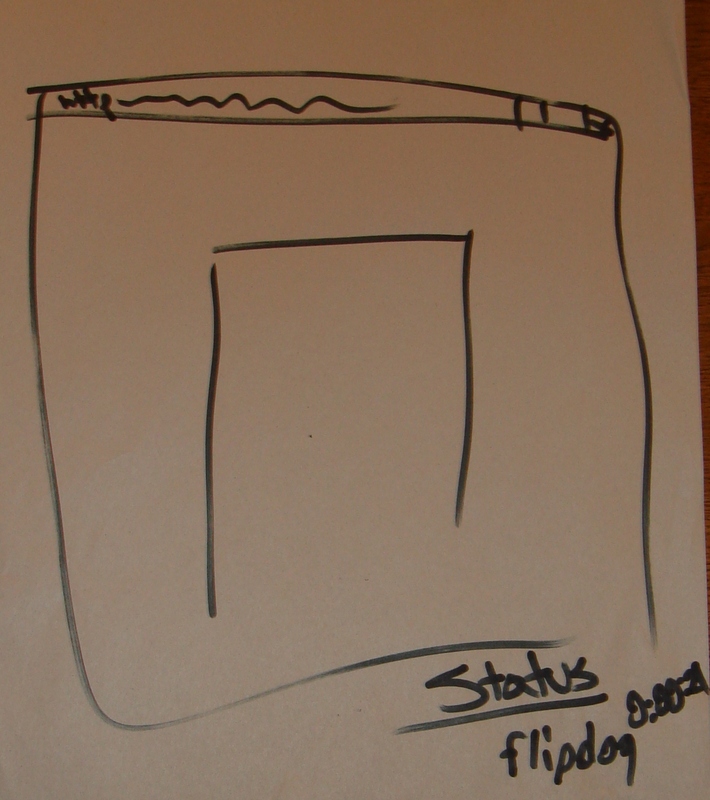 Word on the street is that I'll think the back-end model is "cute."